Best price, good product, A+++ fast service, excellent communication; family owned - nice friendly folks! What more can you ask for. They did a great job helping me out when my garage door broke. They were very friendly and professional! Gave me a quote the very same day I call them and had my door installed the next day. Christian came to install my custom cedar doors last week and I couldn't be happier with them! Every question I had he answered. 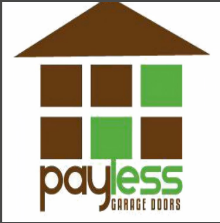 High quality doors at an amazing price, thank you so much Payless Garage Doors! Highly recommend!